With the number of people moving to Austin increasing daily - a recent Forbes article noted that our population growth of 2.5% last year was the highest of any area in the United States. In fact, city demographer Ryan Robinson reported last month that 110 people are moving to Austin each day. At Keep Austin Weird Homes, we consult regularly with Austin residents who want to take advantage of the strong Austin rental market and purchase an investment property. Attached is a map we recently created for a client so she could familiarize herself with the general rental rates in different areas of Austin. 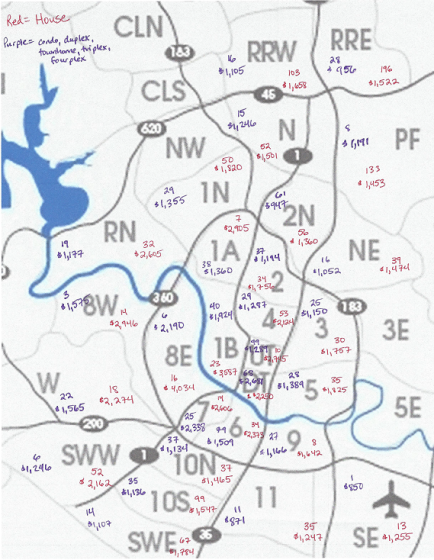 The pre-printed markings (NW, 1N, 8E, etc) correspond to the areas in our Austin Board of Realtors’ system. We pulled the stats for the properties that had leased in the last 90 days in each area and divided the properties into two types, using a different color ink to note each one: in red are houses, and in purple are condos/townhomes, duplexes, triplexes and fourplexes. For each area we noted how many units had leased and what the average rental rate is running. Based on this information, which covers from 12/20/14 - 3/20/14, you can see that the average rents vary a great deal, typically based on how central an area is to downtown. Two “sweet spots” in the Austin Rental Market we’d like to point out are RRW - or Round Rock West - and 10S - the area between S. Mopac and I35 from William Cannon to Slaughter Lane. Both of these areas have high volume of leasing activity, and strong prices as well, with homes leasing for $1,658 per month in RRW and $1,547 in 10S. Obviously the data can be sliced and diced many different ways, so let us know if you would like to drill down farther on anything. We also offer complimentary consultations with potential investors to assess whether investing in real estate would be a match for your specific financial goals and situation. To schedule your investor consultation, click here. Rodney Campbel is a member of the Austin Board of Realtors and with over 35 years of sales experience He loves crunching numbers and helping people understand how to best take advantage of the statistics and trends in a particular neighborhood to build wealth through real estate. If you’d like a professional real estate consultation, click here to schedule an appointment or call 512-740-6486. Many buyers don’t realize that there are several programs available through the state of Texas that provide significant benefits for home buyers. Most people are familiar with the fact that veterans can purchase homes with no down payment. There are other professions that the Texas Homes for Heroes Program grants similar benefits to. If you meet any of the criteria outlined below, you will be able to purchase a home or refinance an existing mortgage and receive up to 5% from the state of Texas in the form of a non repayable grant that can be used for your down payment and closing costs. That’s right, in effect the Texas Homes for Heroes Program program allows you to purchase a home with no down payment and minimal closing costs. If you’d like more information about the Texas Homes for Heroes Program, or other ways to purchase a home with little or no down payment, please contact us at 512-740-6486 or email austintexasagent@gmail.com. We are experienced in helping people navigate programs that make home affordable, and it would be our pleasure to work with you. Allied Health Faculty Member - a full-time member of the faculty of an undergraduate or graduate allied health program of a public or private institution of higher education in the state of Texas. Corrections Officer - all full-time employees of the Texas Department of Criminal Justice (TDCJ) who receive hazardous duty pay. Must have a VOE through TDCJ. Call 800-367-5690 to verify. Emergency Medical Services Personnel - has the meaning assigned by Section 773.003, Health and Safety Code. Emergency medical services personnel means full-time emergency care attendant, medical technicians intermediate or paramedic, or licensed paramedics. Fire Fighter - a member of a fire department who performs a function listed in Section 419.021. (3)(c), Government Code. Permanent full-time fire department employees who are assigned duties as fire suppression, fire inspection, fire and arson investigation, marine firefighting, aircraft rescue and firefighting, fire training, fire education, and fire administration. Juvenile Corrections Officer - all full-time employees of the Texas Juvenile Justice Department (TJJD) who receive hazardous duty pay. Must have a VOE through the TJDD. Call 512-490-7130 to verify. Nursing Faculty Member - a full-time member of either an undergraduate or graduate professional nursing program. Peace Officer - a person elected, employed, or appointed as a full-time peace officer under Article 2.12, Code of Criminal Procedure, Section 51.212 or 51.214, Education Code, or other law. Peace officers are licensed through Texas Commission on Law Enforcement Officer Standards and Education (TCLEOSE). Call 512-936-7700 to verify. Professional Educator - means a full-time, public classroom teacher, teacher aide, school librarian, school nurse, or school counselor certified under Subchapter B, Chapter 21, Education Code. Public Security Officer - a person employed or appointed full-time as an armed security officer by this state or a political subdivision of this state. Public security officers are license through TCLEOSE. Call 512-936-7700. Veteran - a person who served no fewer than 90 cumulative days on active duty in the Army, Navy, Air Force, Marines, Coast Guard, or US Public Health Service OR who have enlisted or received an appointment in the National Guard or a reserve component of one of the branches listed above OR have completed 20 years in a reserve component as to be eligible for retirement. Must be a bona fide resident of Texas, and not dishonorably discharged. The unmarried, surviving spouse of a Texas veteran who is missing in action or who died in the line of duty or from a service-connected cause may be eligible to participate in the programs. Interested in raising poultry as part of your backyard food system? Come join one of the many events celebrating raising and growing your food at the April 19th Coop Tour! 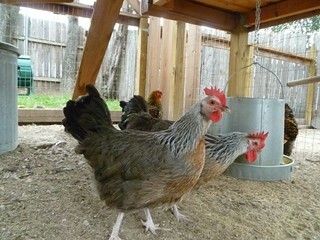 See the line up on their website, which is also listed on the Austin and Central Texas Backyard Poultry Meetup. With the HUGE interest in raising poultry as part of a backyard food system, this is a great opportunity to see some yards with their twist on raising chickens! Happy touring from Keep Austin Weird Homes. In order to have a successful experience buying your Austin home, it is critical to have your financing in place. Most people require a mortgage to purchase their home, and as we all know, lending criteria have become more stringent over the last few years. Here’s an overview of the loan process that we will navigate together to assist you in buying your Austin home. 1. Contact a mortgage professional. We recommend using a mortgage broker rather than going into your neighborhood bank branch because mortgage brokers can match your situation with a wide variety of loan programs, and banks are limited to the programs within their company. If you would like a referral to a reputable Austin area lender, please call Rodney 512.740.6486. 2. Loan Application. Most lenders will allow you to complete this over the phone, in person, or on their websites. You need some basic financial information such as your income and debt amounts. 3. Credit History. At this step, the lender will pull your credit and the credit of anyone else who is going to be on the loan, even if you have a copy of your current credit report. They will use the middle of the 3 credit bureau scores. 4. Collect Requested Items. Based on your loan application, the lender will request a list of items to verify the information. This can range from tax returns to proof of child support income. It is extremely important to get them whatever they ask for as quickly as you can. 5. Review the Loan Programs. Once the lender has verified all of your information, he or she can advise you on the different loan programs you qualify for, and help you make a great decision on which one to select. It’s important to let us know what you’ve chosen, since the terms of the loan program (such as the amount down, etc) will impact how we write the offer on the home you select. 6. Get a Pre-Approval Letter. 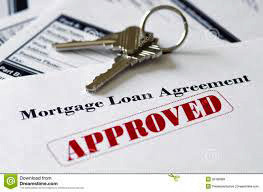 This shows that a loan officer has actually reviewed the necessary documentation, put your loan package through an automated underwriting engine, and you have been pre-approved. This is what a seller expects to see with an offer in a competitive market like Austin’s. 7. Find a Home. This is the fun part!!! 8. Write a Contract. Again, the team at Keep Austin Weird Homes will have you covered here. 9. Conduct a Home Inspection. We believe it is imperative to have a home inspection in almost every situation. 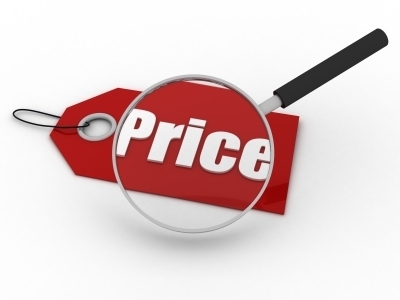 A ballpark price for the Austin area is $450, and we have several extremely thorough inspector’s we can recommend. 10. Order the Appraisal. Once the home has been inspected and you are through your option period, the lender will order the appraisal. An average fee for the Austin area is about $500. Your lender will make these arrangements. 11. Order Title and Survey. Our office, along with the title company, will assist with these items to make sure the property is free of any liens or boundary issues before it transfers to you. 12. Lock Your Loan. Once you have found a property, your lender will contact you to discuss locking your loan. 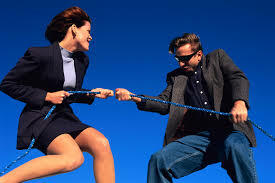 You can do this anytime after a contract has been executed, up to 10 days prior to closing. Once your loan is locked, your rates won’t go up, even if interest rates do in general. 13. Submit to Underwriting. The underwriter will review all the items that have been requested from you as well as the specifics of the property and your loan. 14. Loan Approval...with Conditions. After the underwriter reviews the file, it will either be approved or approved with conditions the underwriter would like to see more detail on. If any additional items are requested from you at this stage, it is critically important for you to provide them in a timely fashion. 16. Documents Sent to Title / Closing Statement (HUD) Prepared. Now the loan documents can be prepared and sent to the title company for the final closing statement to be prepared. Once the closing statement is prepared it will be sent to your lender and Realtor for review.15. Clear Conditions. Once the underwriter has reviewed and removed any conditions that were preventing full loan approval, your file can be moved to the closing department. 17. Review Loan Details Prior to Closing. You should speak to your lender immediately before closing to make sure you know exactly what to expect when you go to the title company to sign your papers. You will want to confirm your interest rate, how much cash you need to bring to purchase your home, and any additional items you might need. Buyer representatives represent the interests of buyer clients. Will a seller disclosing information about one buyer’s offer make a second buyer more likely to make a full price offer? Or will that second buyer decide to pursue a different property? Will a seller telling several buyers that each is being given the chance to make their ‘best offer’ result in spirited competition for the property? Or will it result in the buyers looking elsewhere? Knowledgeable buyers and sellers realize there are rarely simple answers to complex situations. But some fundamental principles can make negotiating multiple offers in the hot Austin real estate market a little simpler. Sellers have several ways to deal with multiple offers. While the listing broker can offer suggestions and advice, decisions about how the offers will be presented - and dealt with - are made by the seller, not by the listing broker. Purchase offers are not generally confidential. In some cases, sellers may make other buyers aware that your offer is in hand, or even disclose details about your offer to another buyer in hopes of encouraging that buyer to make a “better” offer. Buyers and sellers need to appreciate that in multiple offer situations only one offer will result in a sale, and the other buyers will often be disappointed that their offers were not accepted. While little can be done to prevent that disappointment, fair and honest treatment throughout the negotiation process, couple with prompt, ongoing and open communication, can enhance the chance that all buyers - successful or not - will feel they were treated fairly and honestly. 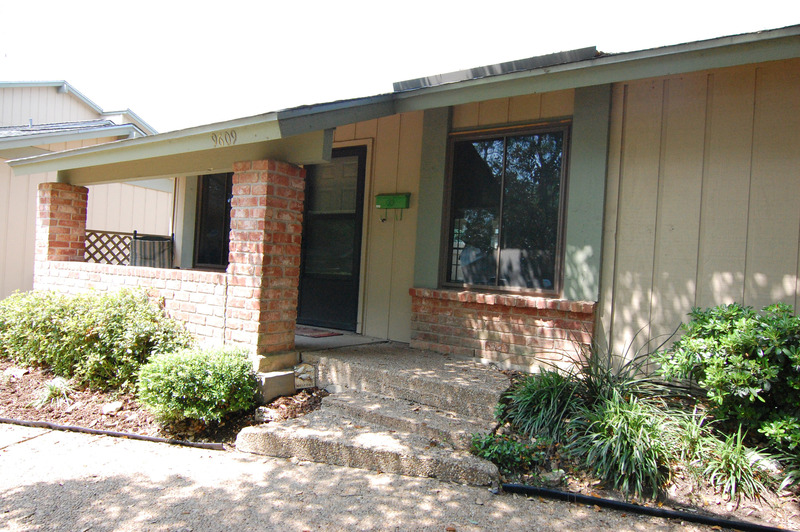 Affordable East Austin – Large Home on a Double Lot - $160k!!! 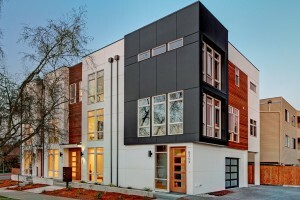 512-740-6486 – http://KeepAustinWeirdHomes.com – Austin, TX Real Estate and Investment Specialists. Keep Austin Weird Homes is pleased to feature our listing at 715 Vargas Road. Where else in Austin can you live so affordably while your real estate investment appreciates? Listen to the wind blow through the leaves of the 5 majestic oaks on this Affordable East Austin property. Two lots totaling .36 acres give you many opportunities in this area, which is poised for future redevelopment. Imagine the value of your land appreciating as Austin’s growth nears this neighborhood and you prepare to convert your property to modern duplexes or townhomes. The home features 3 bedrooms plus an office, which is currently being used as a 4th bedroom. The kitchen provides plenty of counter space plus a walk in pantry and breakfast bar. Enjoy privacy in the master bedroom, with its full bath and walk in closet. It’s so spacious you will forget it’s a manufactured home. What will YOU use the custom structure in the backyard for? Yoga, art studio, playhouse, workshop, storage, or man cave? It does have electricity, so the options are virtually unlimited! This affordable East Austin home is served by Allison Elementary, Martin Middle School and Eastside Memorial High School. Located less than 5 minutes from IH-35, Highway 183, Highway 71, and the airport, you can easily commute anywhere in Austin or the surrounding towns from this home. IMPORTANT DISCLOSURE: Although this property was available at the time of this ad creation, it is very possible that an offer has been submitted or even accepted since that time. This ad was created with the intent to sell THIS property. 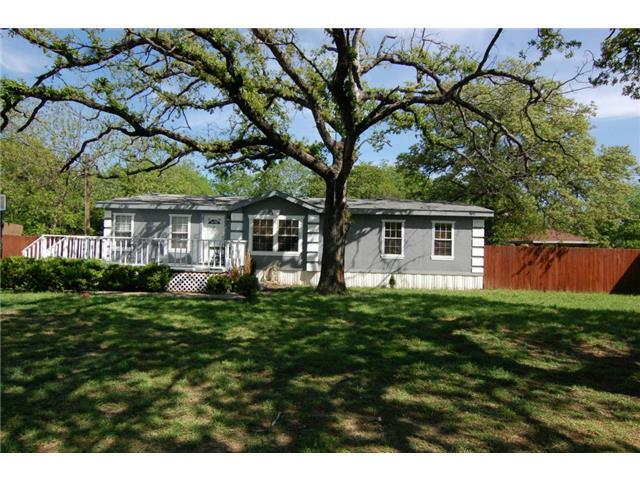 If you are interested in this property, Please call 512-740-6486 to check on its current availability. Search the MLS like a Realtor and never miss the newest listings or the latest price changes. Search using criteria used by Realtors and brokers with multiple photos, satellite images, FULL MLS Descriptions and more. It’s easier than the MLS! Search Austin and the surrounding areas in Central Texas. Gorzycki Middle School will be opening a MakerSpace where students will be able to use their creativity to make things related to technology and arts/crafts. This program provides students with the opportunity to use their critical thinking skills and natural curiosity. 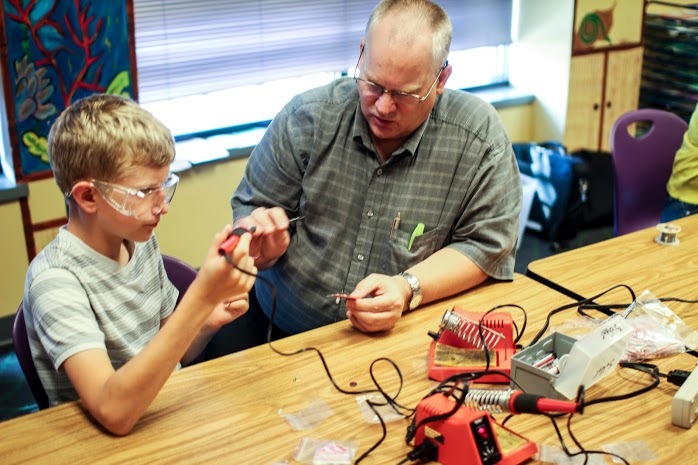 MakerSpaces have been shown to develop student interest and achievement in STEM (Science, Technology, Engineering, Mathematics) related subjects and careers. 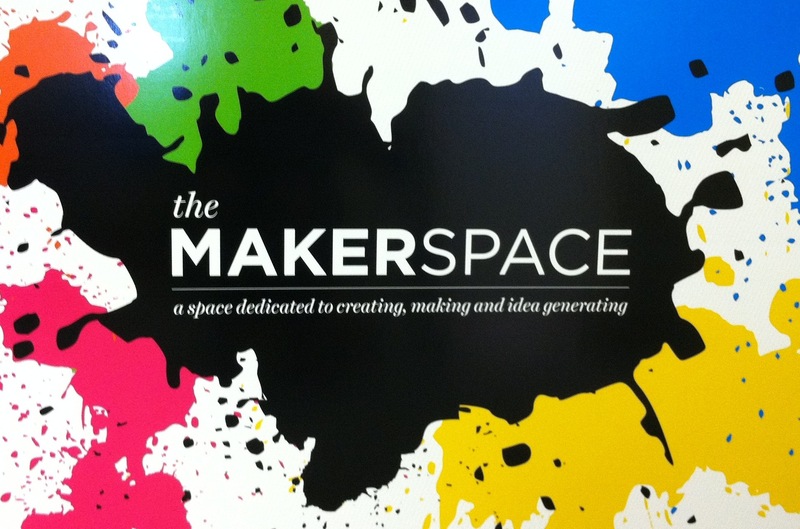 To learn more about MakerSpace, click here. We are seeking donations of materials to be used in the MakerSpace. We need to use things that are quiet and will not ruin library carpets and furniture. We are looking for items that will be easy for our students to use, so most items, with the exception of computers, need to be in good working order. In addition to supplies, we are looking for volunteers who might be able to donate an hour or two of their time to mentor students as they work. We're especially hoping to engage those of you who work in the computer industry or other technological and engineering industries who would be interested in sharing your knowledge and skills with our students. Gorzycki is very proud of the ir library and the opportunities they’ve made available to our students. This will be the first MakerSpace in AISD, and we’d like to help make it a model for other libraries to follow. If the MakerSpace mission of encouraging creativity in a shared environment speaks to you, as it does to us at Keep Austin Weird Homes, please call Rodney at 512-740-6486 to discuss volunteer opportunities or arrange a donation pickup. Rodney Campbell run an Austin, TX real estate brokerage right here in Circle C established with the intention of doing good business with good people. As Austin real estate market experts, Rodney can help you buy, sell, lease or invest in real estate in and around Austin, TX. Searching for your New Home in Austin? Are you SURE you aren’t Missing Something? If you’re like most people, you enjoy browsing homes for sale online. Whether you’re just curious to see what the neighbor’s house is on the market for, or you’re actively house hunting, you probably have your favorite website to use to check for Austin real estate. Well, on April 30th, the Austin Board of Realtors (ABOR) will implement a policy change that will impact the amount of homes displayed on many popular websites. Previously, ABOR had allowed syndication of the information about local homes for sale to number of other websites, which have in turn, shared the data with other websites. This made it a challenge to ensure the data was accurate. So on April 30th, the practice will change, and homes for sale will no longer be sent automatically, or syndicated, to these non-Realtor website. There will still be plenty of homes to see on websites like Zillow and Trulia, because some individual real estate brokers will still choose to post their listings to them, but these sites won’t have ALL of the homes in the greater Austin area. And when inventory is as low as it is in Austin, you don’t want to run the risk of missing a home the first day it comes on the market in the neighborhood you have your heart set on. And when you are ready to take your home search off the computer and make it a reality, give Rodney a call at 512-740-6486. He will make sure you don’t miss anything. Keep Austin Weird Homes is pleased to offer a sneak peek of our listing at 9609 Covey Ridge in North Central Austin. Welcome to 9609 Covey Ridge Dr., a meticulously maintained 2 bedroom, 1 bath townhome for sale. You’ll appreciate the custom color palette, updated appliances and lighting, and the amazing bathroom remodel that has already been completed – this is NOT a fixer-upper. The kitchen is open to the family room, and features French doors that lead to the very private covered patio. Imagine yourself entertaining your friends or spending time with your pup in the shade. 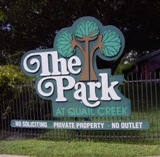 The Park at Quail Creek is located in the natural surroundings of the Quail Creek area in North Austin. In a town that loves unique, this townhome community doesn’t disappoint. The Park at Quail Creek was constructed in several phases, which has resulted in a variety of floor plans – no cookie cutter buildings here! The amenities of the Park at Quail Creek include tree-covered grounds, tennis courts, a swimming pool, and a gently winding creek. You can even rent the community center for parties or special events. Schools are zoned to McBee Elementary, Burnet Middle School, and Lanier High School, which is also houses the Health Sciences Institute of Austin. Across the street and less than a block away is the North Austin Community garden. Exceptionally close to shopping and entertainment sites and the City of Austin’s Quail Creek Park and Walnut Creek Park, which has an off leash dog park. Less than 15 minutes from the heart of downtown Austin, but you’d never know it when you sit on your porch and hear the wind rustling and the birds singing in the mature oaks. This Austin townhome for sale offers an ideal spot for the budget-conscious to enjoy the Austin homeownership experience. Rodney Campbell runs an Austin, TX real estate brokerage established with the intention of doing good business with good people. As Austin real estate specialists, Rodney can help you buy, sell, lease or invest in real estate in and around Austin, TX.